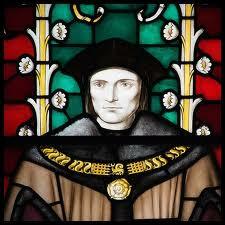 The mission of the Thomas More Law Center is to: Preserve America’s Judeo-Christian heritage; Defend the religious freedom of Christians; Restore time-honored moral and family values; Protect the sanctity of human life; Promote a strong national defense and a free and sovereign United States of America. The Law Center accomplishes its mission through litigation, education, and related activities. It does not charge for its services. The Law Center is supported by contributions from individuals, corporations and foundations, and is recognized by the IRS as a section 501(c)(3) organization. You may reach the Thomas More Law Center at (734) 827-2001 or visit our website at www.thomasmore.org. The Law Center’s purpose is to be the sword and shield for people of faith, providing legal representation without charge. We achieve this goal principally through litigation, seeking out significant cases consistent with our mission. The Law Center also defends and promotes faith and family through media and educational efforts. Above all, the lawyers of the Thomas More Center seek to meet the highest moral and ethical standards of our Christian faith and our legal profession. Our ministry was inspired by the recognition that the issues of the Culture War being waged across America are not being decided by our elected representatives, but by unelected judges holding life-time appointments who often rule according to their political ideology rather than existing law. Moreover, their court decisions, largely insulated from the democratic process, have been inordinately influenced by legal advocacy groups such as the American Civil Liberties Union (ACLU) which seek to systematically subvert the religious and moral foundations of our nation. The Thomas More Law Center, therefore, is the Christian response to the ACLU.